MHL Hockey: October best players! As the regular season goes on, the MHL directorate named October's top players, once again conference-split like in September. In the Western Conference, the best top goals and points scorer has been Feniks Voskresensk's Vladimir Zavarzin, with 10 goals and 11 points respectively. Nikita Tochitsky from SKA-1946 beaten him of one assist getting 12 and stripping him off the top assistman's crown. CSKA-Red Army's Vladimir Repin has been the top producer among defensemen, thanks to 12 points (4+8) in 15 matches. 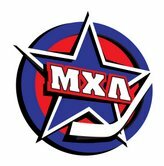 Ildar Telyakov and Ilya Bozhdaev from SKA-1946 top all the October's defensemen with +13 and the St.Petersburg's team trophy swap is completed by Evgeny Ivannikov, who got for the second straight month the goalie of the month honors. In the Eastern Conference Airat Ziazov was both the top assistman and top points scorer, 18 points and 11 assists in 12 matches. In September Ziazov has been the top goalscorer with 10 markers, an award got this month by Bars' Stanislav Bocharov with 11 goals. Stalnye Lisy's Sergei Tereschenko has top ped all defensemen in the East with ten points (4+6) in as many matches. He topped other defensemen also in the +/- stat with an impressive +16. His team mate Dmitri Voloshin got best goalie honors with a 1.70 GAA. Despite many MHL stars will play in the different international tournaments scheduled for November's first couple of weeks the league won't stop the games.